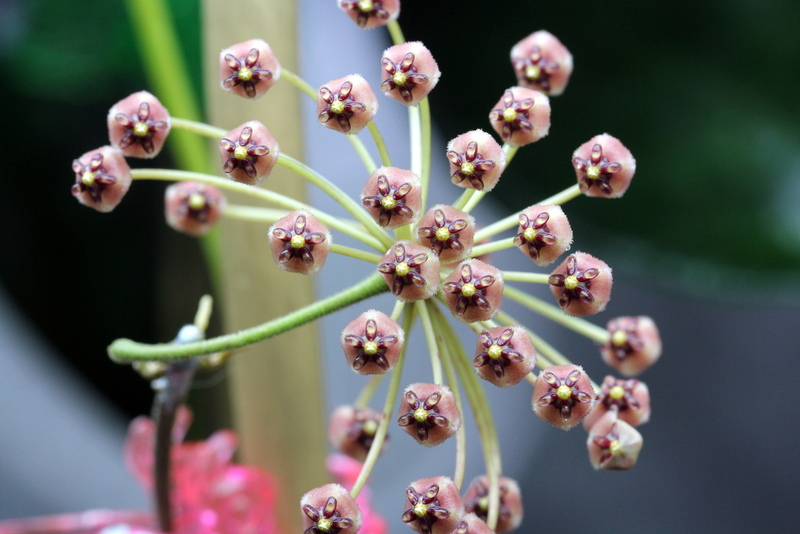 First I want to say that apparently there is controversy about the name of this Hoya. Christine Burton has written that Hoya andalensis is really Hoya incurvula and that Dale Kloppenburg has published andalensis incorrectly. Kloppenburg also said that it is a native of Sumatra and she says that it is a native of Sulawesi. For what it is worth, I received the plant as andalensis and andalensis it will stay until I find out more information. It is a cute little plant that I received from Joni at SRQ Hoyas, and I’m sure she would be happy to sell you one if you are at all interested. H. andalensis is very similar to H. brevialata, but easy enough to tell apart from the leaves. H. brevialata’s leaves are almost round and very concave – almost looking like little bowls. H. andalensis leaves are longer and almost flat. The flowers are very similar too, but apparently the andalensis pedicels are much longer. I have presented a comparison of the two flowers below. Although my H. andalensis flowers appear much smaller, that alone cannot be used as a valid comparison. My plant is very young and these are its very first blooms, so their size could definitely increase with age. 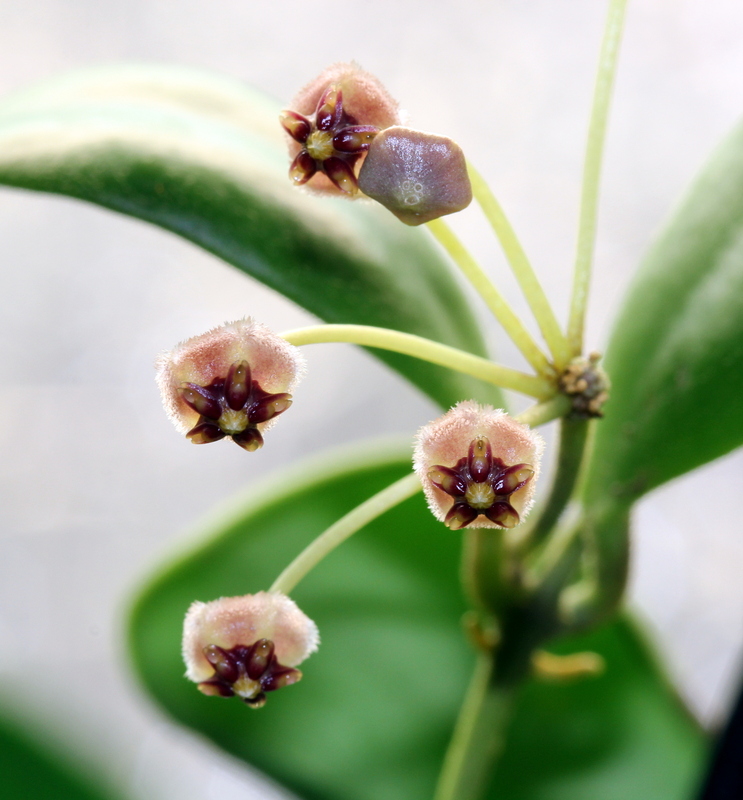 I can say without reservation that whether or not andalensis and incurvula are the same plant, it is an easy care Hoya well worth keeping!